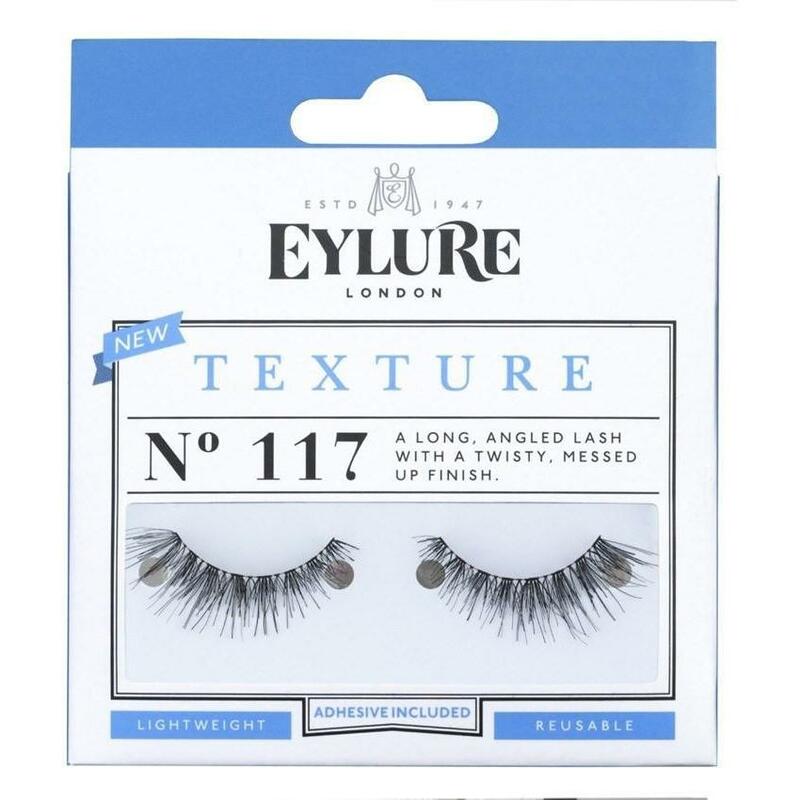 Please note Eylure Naturalites TEXTURE Lashes N° 117 is currently out of stock; Item will be available again shortly. 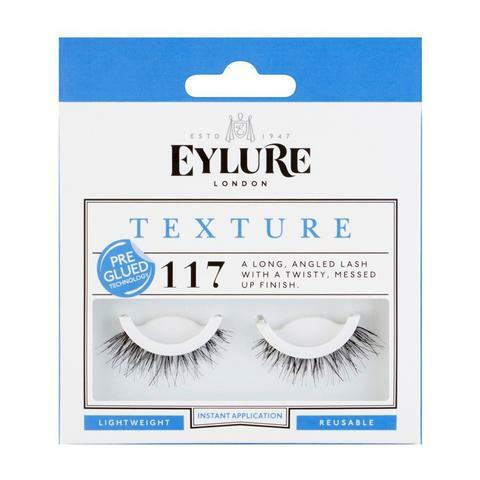 Try the same style in single pack Eylure Naturalites TEXTURE Lashes N° 117. Eylure Texture 117 Multipack Lashes contains 3-pack of Eylure #117 strip lashes (Triple Pack) to enhance the natural beauty of your eyes. Eylure TEXTURE N° 117 Strip Lashes has long, angled lash with a twisty, messy finish. This is a lash that is gorgeously textured that will give you that extra bit of length and thickness that you desire to enhance the natural beauty of your eyes. Love it, Layer It offers you the opportunity to customize your favorite lash and layer up the outer edge. Eylure lashes are designed to enhance the natural beauty of your eyes. Fabulous, flirty and flexible they are suitable for all eye shapes and all occasions. Ultra lightweight feel. Each package contains 3 pairs of #117 lashes.